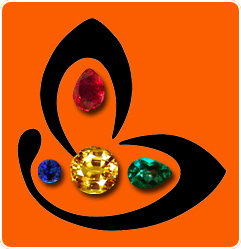 You are here: Home / Announcements / Gemstoneuniverse is proud to be associated with Pitch Fever 2013. Proceeds to go for noble causes! 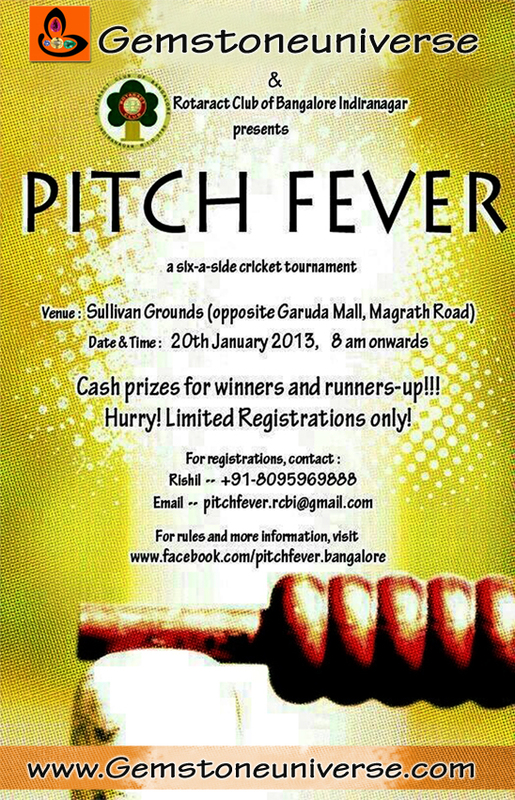 Gemstoneuniverse is proud to be associated with Pitch Fever 2013. Proceeds to go for noble causes! Proceeds shall go to the needy. Gemstoneuniverse is the title sponsor of Pitch Fever 2013 organized by Rotaract Club of Bangalore Indiranagar (RCBI). Pitch Fever is a unique six-a-side cricket tournament that was first organised on April 3, 2011. Since it was meant for people of all ages, it was met with a lot of enthusiasm. The second edition of the game was organised on March 25, 2012 and had 40 teams taking part. Including the Rotaractors of RCBI, there were over 30 volunteers present at the venue. The tournament started at 8 in the morning as scheduled. With six matches running in parallel, there was a lot of excitement at the venue throughout the day with a crowd of nearly 300 people. The tournament was a grand success and ended up winning the award for the Best Club Service Project of 2011-12. The winner of the Best Community-based Rotaract Club for the last two years in a row, RCBI has always aimed at helping the needy. The funds raised from Pitch Fever too will be contributed towards the betterment of the society. Last year, the proceeds from Pitch Fever went towards the education of three children in Sumanahalli Society and ‘Sahasra’, a community service project that helped nearly 300 people in need. Help them for a good cause.